These 15" by 22" placemats are 100% cotton. 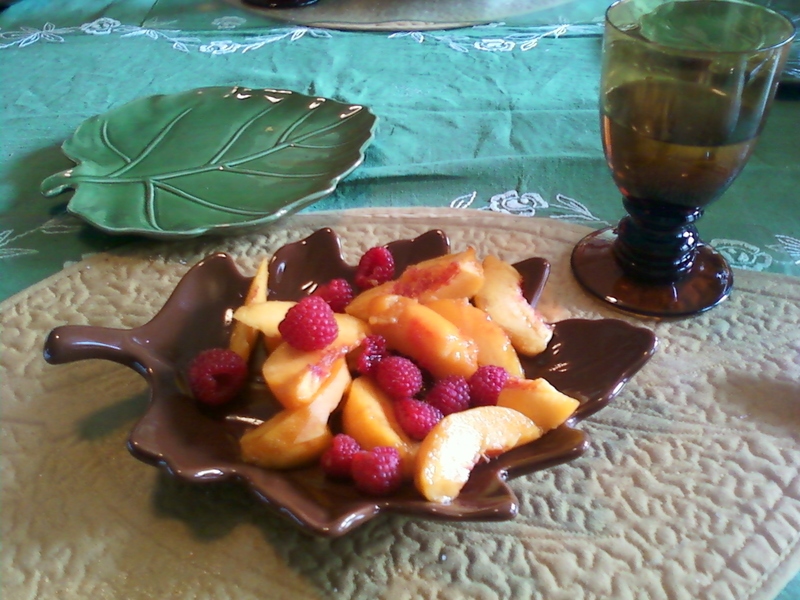 Houzz carries the same placemat in rusty red, sage, terra cotta, and yellow for $9.95. I spotted the same placemat for $7.95 (but only in gold) at the Country Porch. 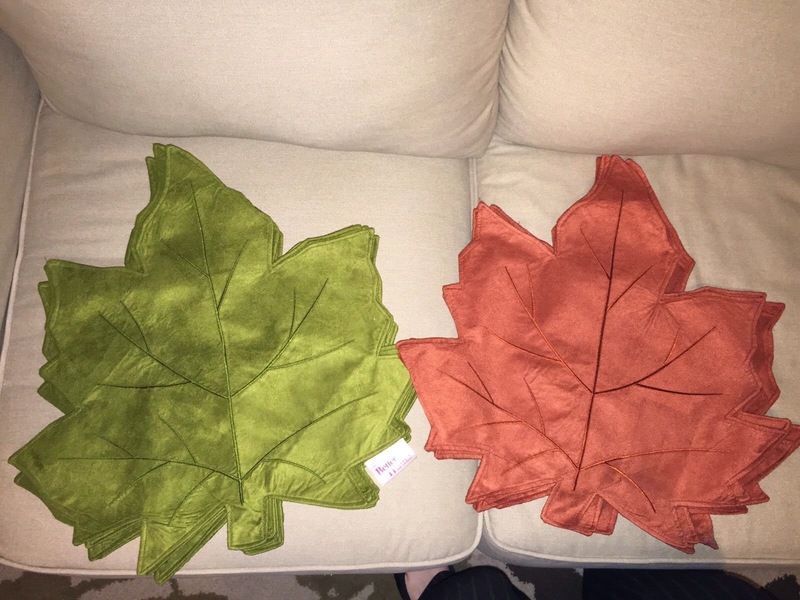 Here's a collection of bright maple leaves in soft faux suede originally found at Collections, Inc. Unfortunately, Collections Inc. writes: "Sold Out. We are unable to guarantee this item will be available in the future. Item #24755". But, as of September 23, 2015, there is a set available HERE at eBay for $35.99 plus shipping. The collection is (still) gorgeous, and sold in a set of 4 bright fall colors: Red, orange, green, and tan. They have a satin back, are polyester, and 19" by 20". Unfortunately, there is only one set for sale, and it will probably go fast. These satin leaf placemats are very similar to the placemats above; a set of 12 in two colors was on sale last year at eBay HERE. These were branded by "Better Homes" and the set of 12 included 5 rust and 7 green. They seemed like a great deal, but they are gone. They are beautiful, perhaps if you are lucky you will find them at a yard sale.... or someone will put them up for sale on eBay at some time in the future. Keep them clean and use them all autumn long! Keep your special holiday cloth placemats clean so that you can use them several times over the autumn months before washing them: Buy a set of clear vinyl placemats to place over the fabric placemats. 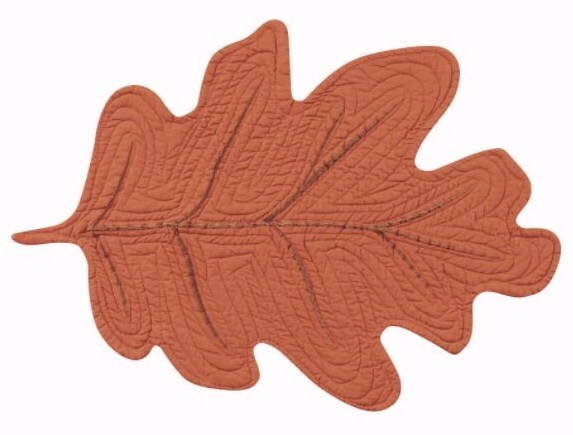 You'll be able to keep those gorgeous fall placemats on your table until the last leaf is off of the trees around Thanksgiving time. Or until it is time for Christmas placemats. Great leaves you found ! Thanks for featuring my small tablecloth leaf from my P8Accessories shop :) and yes, I can make sets too. Thanks, Petronella! I see that you were able to get a comment posted. I'm going to add your note to the text. 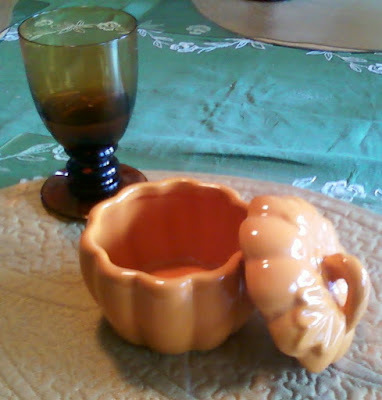 Halloween: Great Creepy Stuff on Sale!